Ubud is not the place where you need a long list of things to do. It is a laid-back place which full of culture and nature tranquillity. The activity lists are not as much as in Kuta or Seminyak. Most people visit Ubud to join a yoga class, indulge in relaxing spa or walking through rice fields as it is the average activity you can do in the town, However, behind the quiet ambiance and tranquillity, there are wonderful things to do in Ubud which you cannot find in other places on the island. 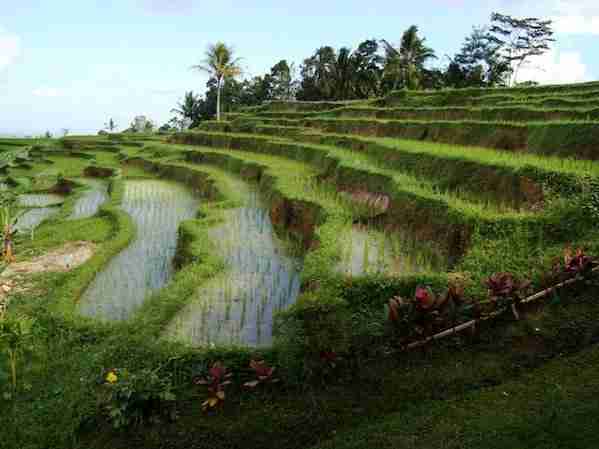 Here is our list of 10 wonderful things to do in Ubud Bali. Ubud is famous for the capital of culture of Bali as most art galleries are concentrated in the town. If you are an art lover, a museum visit is something not to be missed. Here are the lists of the museum to visit in Ubud. Museum Rudana – the Rudana Museum has wide collections of vivid traditional paintings and also antique pieces of art. Surrounded by green rice fields, the museum belongs to a Balinese politician named Nyoman Rudana. Besides art exhibitions, the museum also provides gallery where visitors can buy the Balinese artwork. 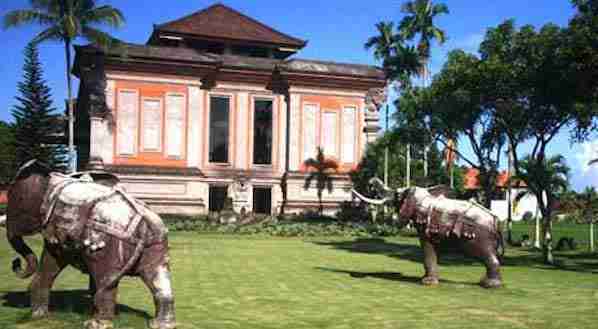 Agung Rai Museum of art – shortened as ARMA, this museum is a combination of cultural center and gallery. The place exhibits the work of Anak Agung Gede Rai in one building and in another building displays various kinds of artworks. Peruse Neka Art Museum – this museum is considered as one of the best museums on the island for having a huge collection of mixed modern arts and ancient pieces. Blanco Renaissance Museum – the museum was once in the house and studio of the Don Antonio Blanco. You can find wide array collection of poetry pieces, collages, paintings, and even lithographs. The house tour is also allowed it is one of the best spots for photography in Ubud. Museum Puri Lukisan – this museum is one of the best museums of modern arts scene and non-religious art in Ubud. There are wide ranges of artwork exhibitions which come in English explanations. When in Ubud, make sure that you do not stay in regular hotel or homestay. You can try a bit farther in the town to find unordinary hotels with unique designs and fabulous scenic view. There are some hotels and homestay which are located in the center of lush jungle with an open view of the volcano. Ubud is full of the spiritual world. There is nothing better to enjoy its tranquillity than join yoga class. There are numbers of Yoga studio you can join whether you are a beginner or expert. This is one of the more popular things to do in Ubud Bali. 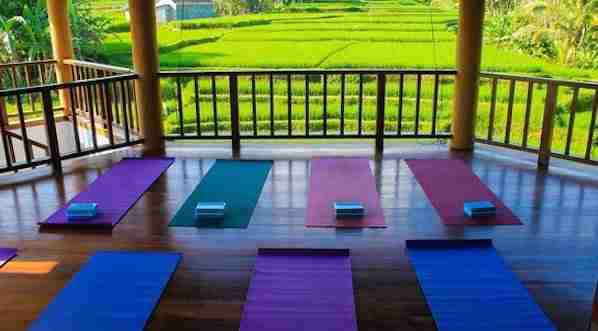 If you want to stay a little bit longer, you can also join Yoga retreat and indulge in your spirituality. Art and cooking class is a happening activity in Ubud. Art class includes jewelry making, batik making, paintings, and many more. While cooking class usually includes Balinese cuisine cooking class, Indonesian cuisine, vegetarian food and even international fusion cuisine. Many people interested in cooking class as it includes market visit, hands-on cooking and also making offerings. You can definitely learn some new skills while staying in Ubud. Visiting Bali without doing some adventurous activity is incomplete. While Ubud may have limited adventure thing, but there are some actions to test your adrenaline. 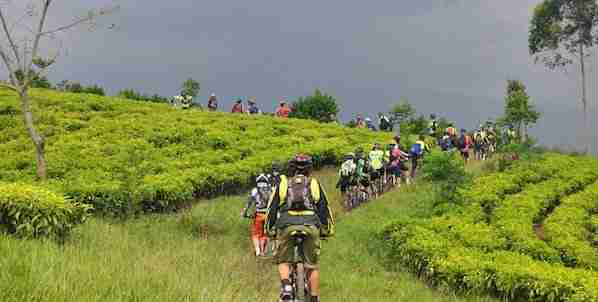 Downhill biking – if walking through the rice field is too common for you, try the downhill bike. Besides passing rice fields, you will also pass Balinese village where you can stop by and have interaction with the local people. Water rafting – water rafting is another adventurous activity through many rivers in the town. The rafting package is available in two levels: beginner and advanced rafters. Swing in the sky – swing in the sky is the newest adventurous activity in Ubud. The swing is located in uphill, so it gives you the feeling of swing in the sky, literary. The price is not that cheap especially for night swing but the experience is unbeatable. Ubud is the heaven for healthy food and vegetarian food. You can easily find restaurants and cafes offering healthy and there are even vegan restaurants. No, you do not have to be a health freak or vegan to enjoy to taste the food, but you will be surprised that it actually as tasty as your favorite food. Once again, Ubud is the home for massage and spa. Get a spa and massage after a long day surfing at the beach is always a great idea. This is also another one of the more popular things to do in Ubud Bali. With a spa and massage parlor in every corner of the town. However, make sure you choose one with good service and ambiance. Many people find that walking through rice field is relaxing and mind-calming. You can choose to walk in Tegalalang rice field or Campuhan Ridge walk. Both have an amazing view and calming ambiance. Healthy food at noon and taste Balinese street food at night is always a great combination. Located a bit far from the center of Ubud, Gianyar Night Market is a great destination to visit at night. There are lots of delicious common Balinese food such as fried bananas, satay, roasted suckling pig, and many more. Besides food, there are also toys and clothes available in the market. Balinese dance is always fascinating and should not be missed. The famous dance performance is a Kecak dance in Junjungan Village. It is less commercial and certainly less busy than in other places. Another dance performance is Legong dance which usually performed at temples around Ubud such as Pura Dalem Puri, Peliatan Village, and Puri Saren. Ubud has a good variety of guest houses, hostels and hotels. Here are a few places to check out and give you an idea of what is available in Ubud if you are planning to visit Ubud. 5 minutes’ drive from Ubud Palace, Secret Garden Guest House features Balinese style housing with a garden. Free Wi-Fi is provided throughout the property. Fan-cooled rooms in Secret Garden Guest House are equipped with a wardrobe, and a desk. En suite bathrooms have shower facilities. Located just a 5-minute drive from Ubud’s Sacred Monkey Forest, Odah Ayu Guest House offers cosy and homey accommodation with free WiFi access and 24-hour front desk. Each room here will provide you with air conditioning, a balcony and a terrace. You can enjoy mountain view and city view from the room. Overlooking Tjampuhan River and terraced rice paddies, offers a restaurant, lounge bar & library and an outdoor swimming pool. Rooms at Ulun Ubud Resort feature modern Balinese style with local rock stones and red bricks. Each room has its own private balcony, offering views of the tropical greenery. Finally, once you visit Ubud, you will have plenty of options to visit, explore, discover and with many more things to do in Ubud Bali. Ubud may not be the most visited place in Bali but if you want something less touristy and crowded, the town is a great destination. Even though there is not a much adventurous activity that you can do, but the place is great if you love arts and want to indulge in spirituality. And that’s it for now! 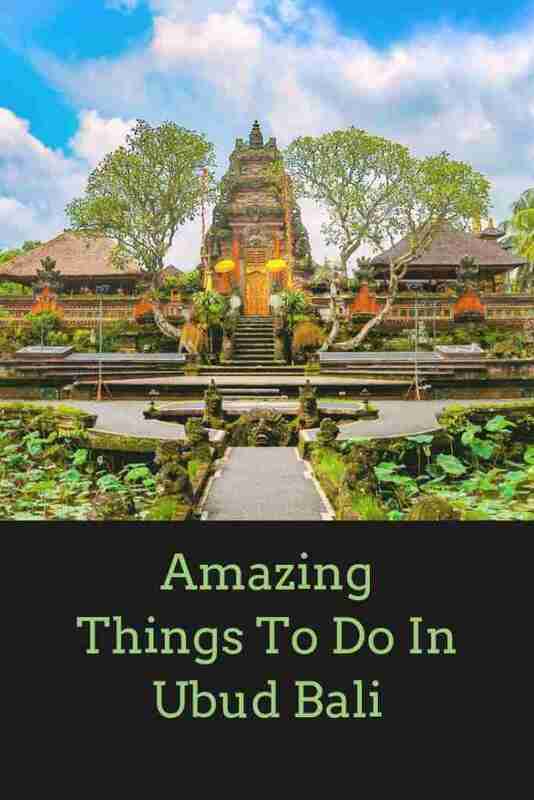 I’d love to know if this guide on the things to do in Ubud Bali has helped you. Let me know if you have any questions and let me know if you go too.